More “guys who want size” choose Clean Gainer™ because of its killer combo of quality, mass-building protein, low-glycemic carbs, and healthy, natural fats. This world-class fuel not only supports the intense muscle mass needs of top athletes; it supports any competitor’s desire for a healthy diet packed with clean calories. Throw in Zero Banned Substances, and you’ve got yourself a massive winner. Clean Lipid Blend - including MCTs (from coconut oil), which are efficiently absorbed and rapidly used as fuel versus typical fats. CLEAN GAINER™ is a lean mass gainer suitable for those who are ideal body weight but want to gain size or, for athletes who want to maintain muscle mass. It supplies 560kcals per serving and has a ratio of 1:3 of Protein: Carbohydrates to help cover up the calorie deficit in the diet. CLEAN GAINER™ can be consumed as first thing in the morning, before your training/ workout and after your training/workout. Mix one serving with 18ounces of water post workout. You can also divide the 2 scoops throughout the day. You can also divide the serving to 1 scoops in 150ml of water first thing in the morning and mix 1 scoops in 150ml of water post workout. 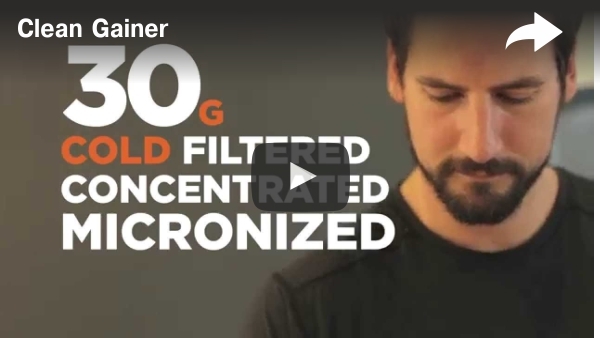 In order to attain your ideal body weight, consume your gainer in addition to other meals and do not replace your regular meals with gainer meals. Q.1 What is CLEAN GAINER? 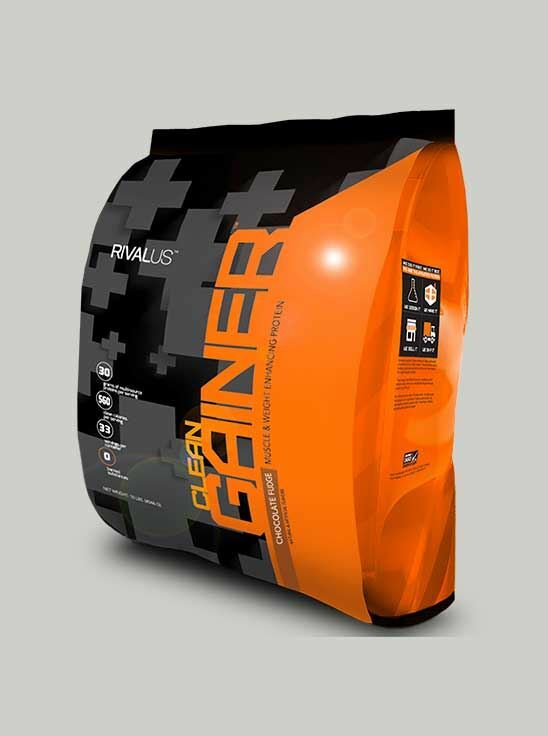 CLEAN GAINER is a lean mass gainer suitable for those who are ideal body weight but want to gain size or, for athletes who want to maintain muscle mass. It supplies 560kcals per serving and has a ratio of 1:3 of Protein: Carbohydrates to help cover up the calorie deficit in the diet. Q.2 What are Mass Gainers? These are high calorie powders that comprise of the same protein as in protein powders but along with added carbohydrates usually from Maltodextrins. Weight gainers are for people who are classic ectomorphs with an excessively fast metabolism. Weight Gainers provide an optimum ratio of Carbohydrates and Protein to help meet the high energy demands as well as build lean muscle mass. The carbohydrates usually in simple and complex form maintain a continuous supply of energy and spare protein to do its primary function of building muscle. They also contain EFAs such as Omega 3 and some very good brands add up to 10g of soluble/insoluble fiber along with essential vitamins and minerals. In an essence, a weight gainer is a complete meal replacement designed to add nutrient dense calories for an ectomorph. Q.3 I am Lactose intolerant, can I consume CLEAN GAINER? CLEAN GAINER contains Whey protein concentrates we suggest you to avoid it. If you face intolerance or insensitivity to lactose, which is the natural sugar found in milk products, you should definitely opt for a Whey protein isolate which contains very little or no lactose. Q.4 What is the difference between a whey protein and a weight gainer? Whey protein products and weight gainers are two completely different categories of products. Whey Protein- Whey is a milk protein extract. The water which remains after cheese making process is known as sweet dairy whey. Whey protein has all 22 amino acids all 8 essential amino acids. Whey is highly anabolic and is fast acting protein of milk. It is best consumed post workout and first thing in the morning for muscle recovery and muscle protein synthesis. It has very low amount of Lactose and fat with protein percentage 80% and above (WPI). Hence, it is low in Calories, Carbohydrates and Fat. Weight Gainer-Are the range of products which help meet or exceed the daily caloric requirement. Usually composed of both high and low glycemic Carbohydrates and protein, whey protein and other vitamins and minerals. Weight gainer formulas are designed to promote muscle development, as well as increase the muscles recovery process Hence depending on the goal the product will be decided. If the target is Weight gain then Mass gainer will be the priority product whereas, if the body weight is normal and the goal is muscle building, fat loss or recovery Whey protein will be the priority product. However, for weight gain the best solution is stack of a Gainer + Whey Protein. Q.5 How do I know which Gainer should I consume? Depending on the goal all gainers are further classified into 3 categories: High Calorie Gainers- For those who are Classic Ectomorphs (15-20kgs underweight). High calorie gainers supply 1000-1200kcals per serving and have a ratio of 1:5 of Protein: Carbohydrates. A complete supplement for Hard Gainers. 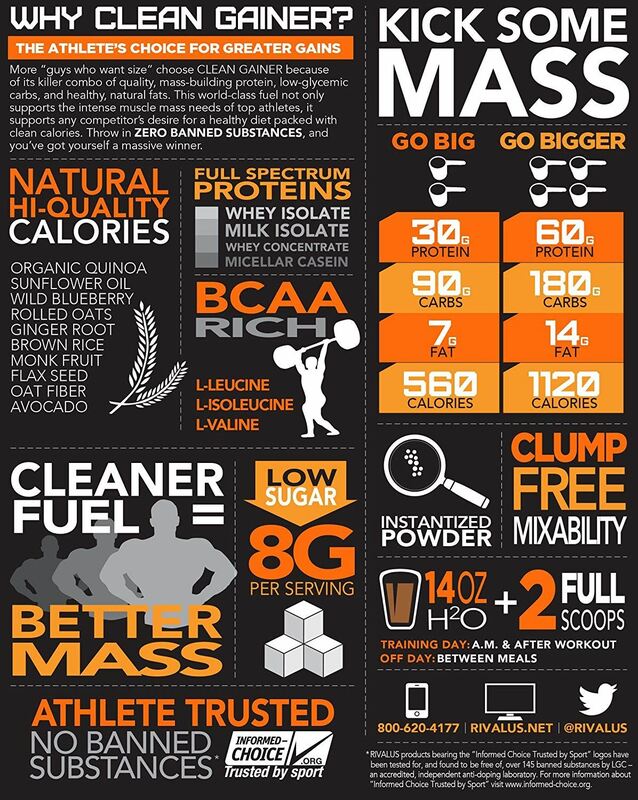 Lean Mass Gainers- For those who are not able to meet their requisite daily calorie intake. Lean Mass gainers supply 700-900kcals per serving and have a ratio of 1:3 of Protein: Carbohydrates. High Protein Gainers- For those who are ideal body weight but want to gain size or, for athletes who want to maintain muscle mass. Lean mass gainers supply 250-200kcals per serving and have a ratio of 1:1.5 of Protein: Carbohydrates. Really great product! Chocolate fudge, tastes great. Great product and excellent in test. One of the best gainer ever! Looking to gain this is it! !